A blossom of flowers. Some are gonna bloom! For this one I’ve been inspired by a lot of watercolor paintings I saw on Deviant Art. Mostly paintings featuring flowers, plants or landscapes. They were all so gorgeous and colorful, I just instantly wanted to do the same. So I found a picture of a blossom on Flickr (yep Flickr, like always =D ) and decide to paint it. The idea here was to make something really colorful, that looks really beautiful. I try to add as much color as possible, on the flower but also on the background. I use some ink to delimit the outline of the flowers. 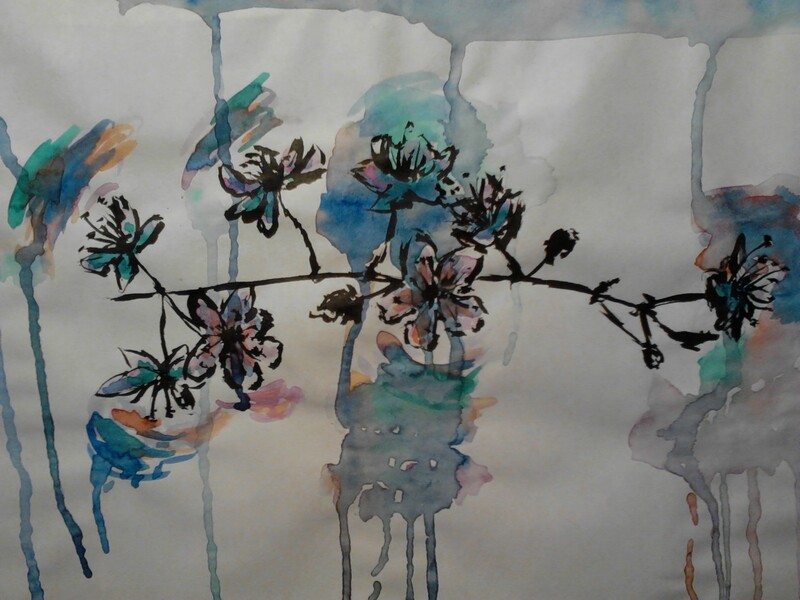 There’s kind of “watercolor wave” produced by some flowers, I tried here to make them alive, moving, breathing.